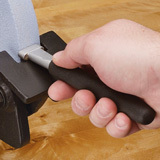 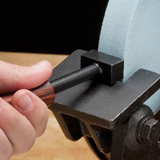 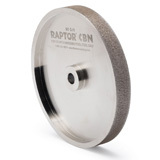 The proper grinding wheel is essential in obtaining the perfect grind on your woodturning tools. 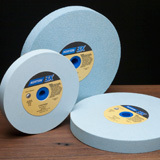 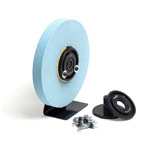 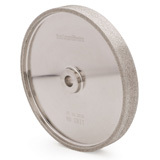 We offer a wide selection of 6" and 8" grinding wheels in various sizes and composites. 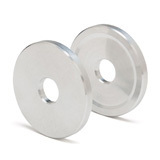 Norton SG grinding wheels are very aggressive while cutting cool and clean. 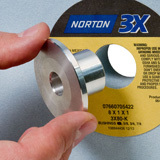 Norton 32A wheels are friable aluminum oxide grinding wheels that break down during the cutting process to constantly expose a fresh cutting surface while Norton 3X Grinding Wheels are a ceramic abrasive that cuts fast while producing a superior tool edge.